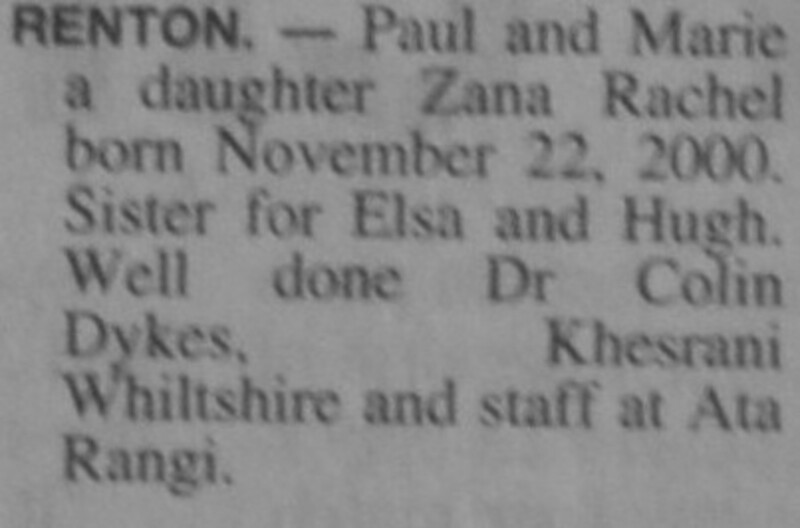 Paul and Marie a daughter Zana Rachel born November 22, 2000. 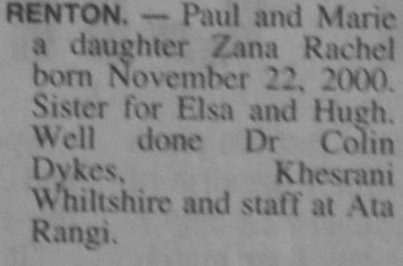 Sister for Elsa and Hugh. 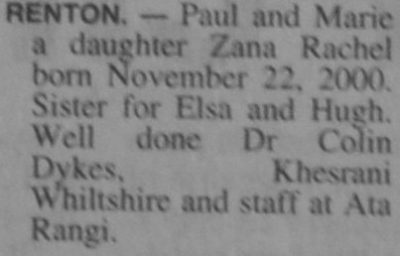 Well done Dr Colin Dykes, Khesrani Whiltshire and staff at Ata Rangi.